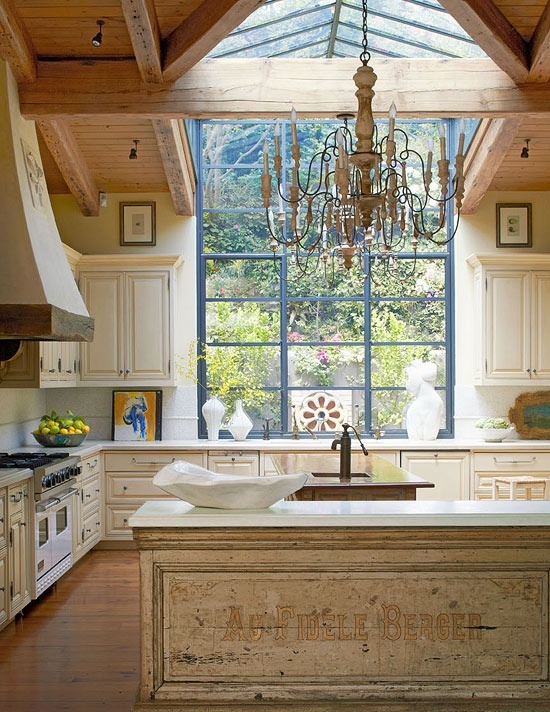 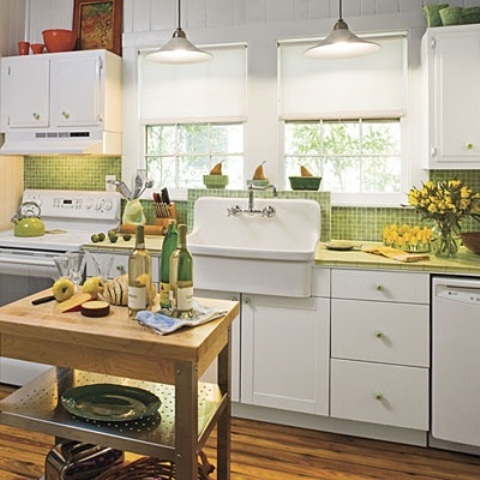 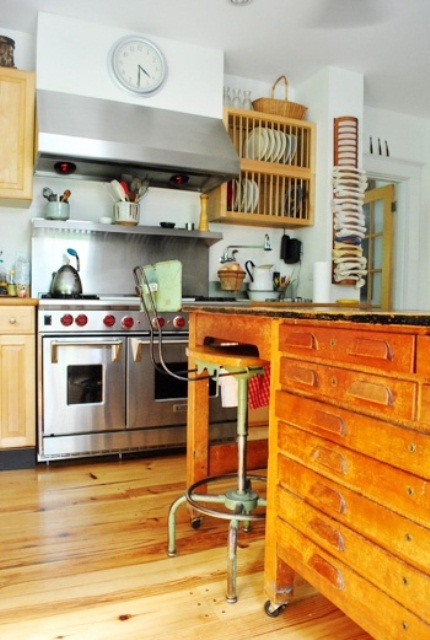 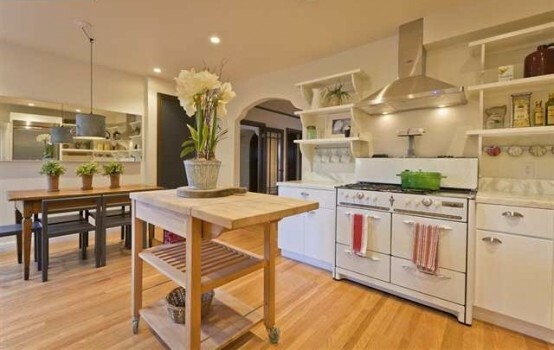 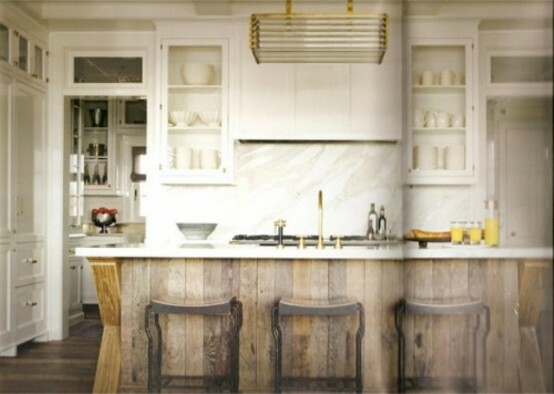 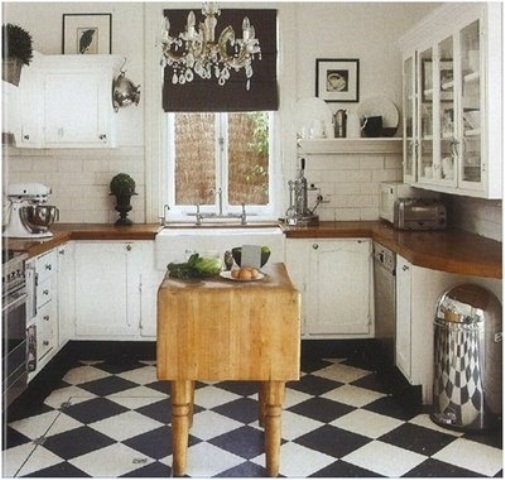 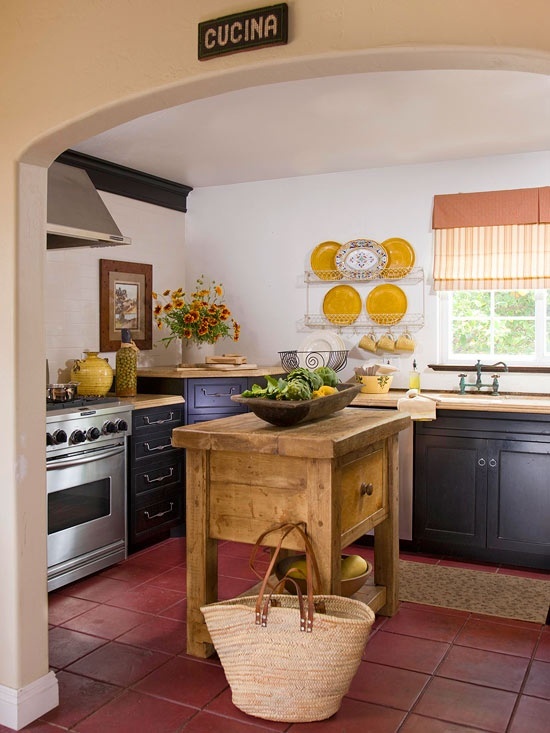 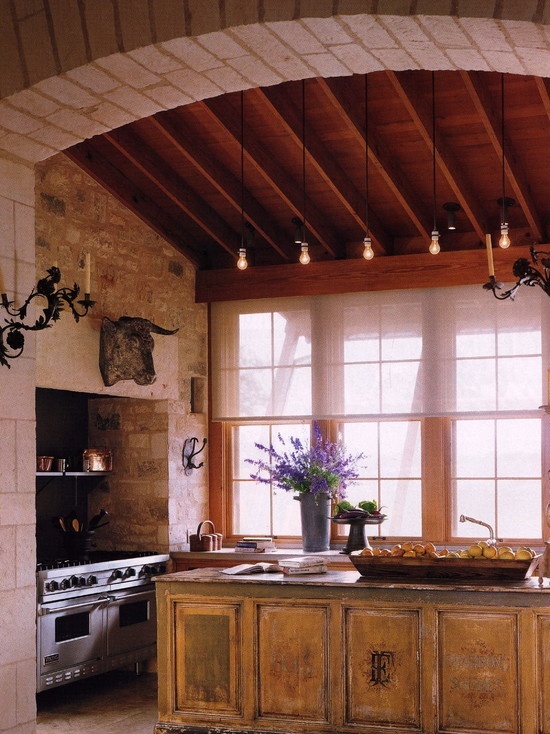 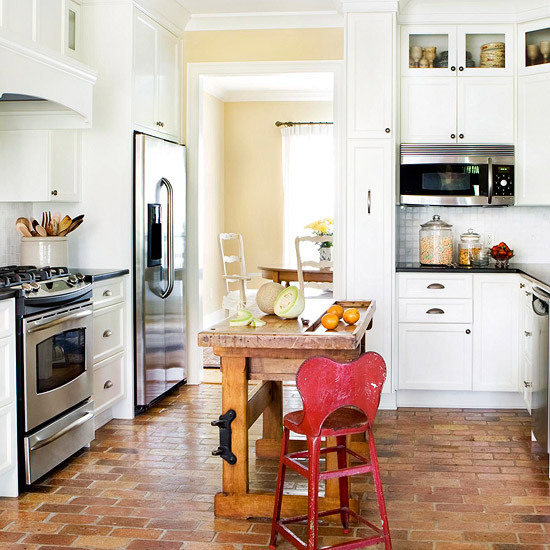 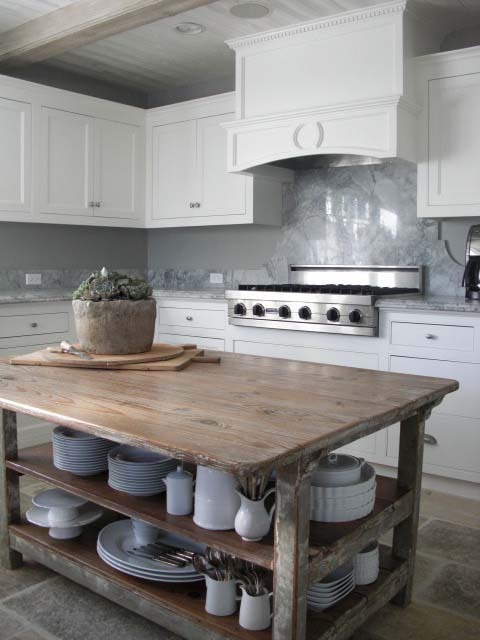 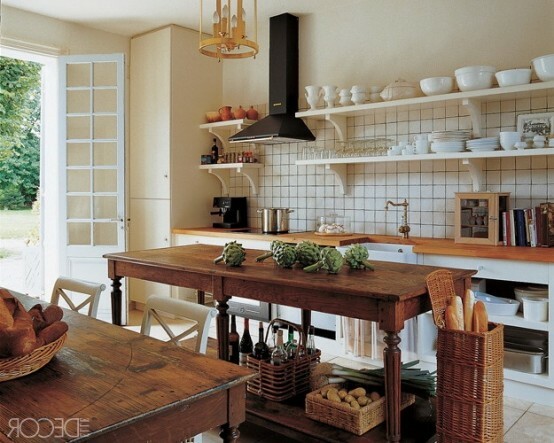 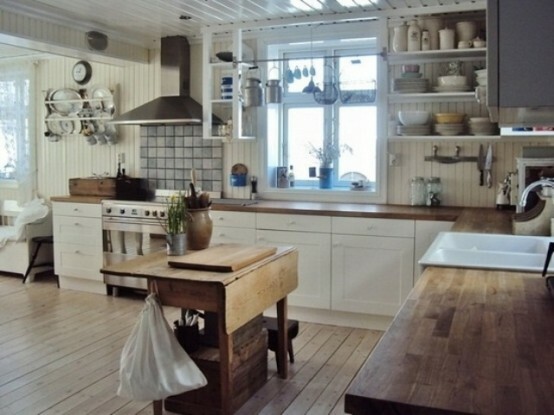 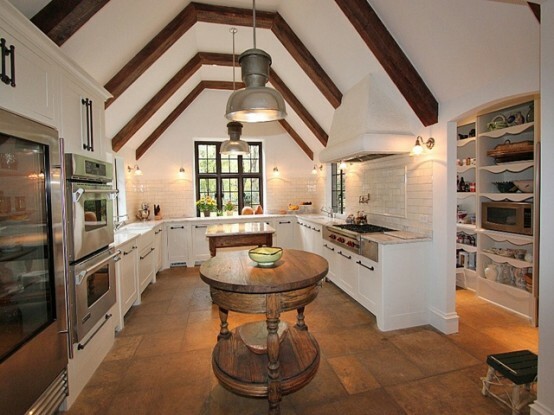 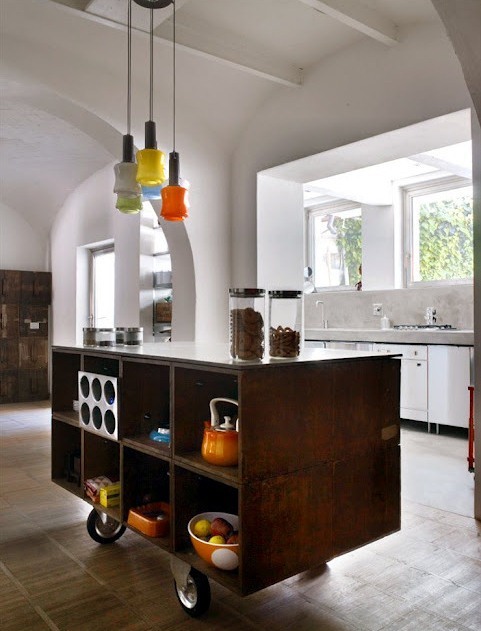 Vintage is a very popular style in interiors, and a vintage kitchen looks very stylish. 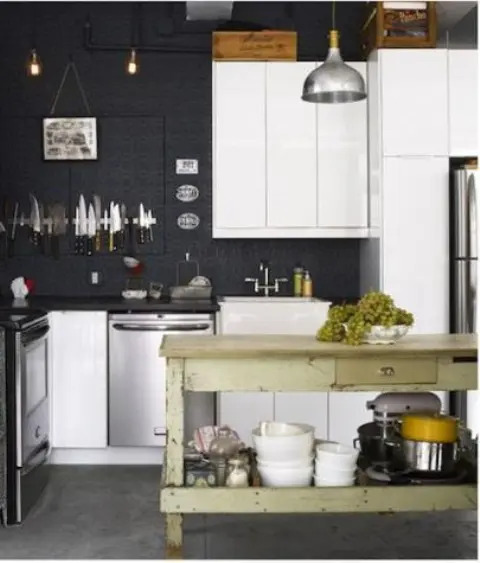 You may not only create a whole vintage interior in the kitchen but also you can make just a kitchen island of this style and add charm. 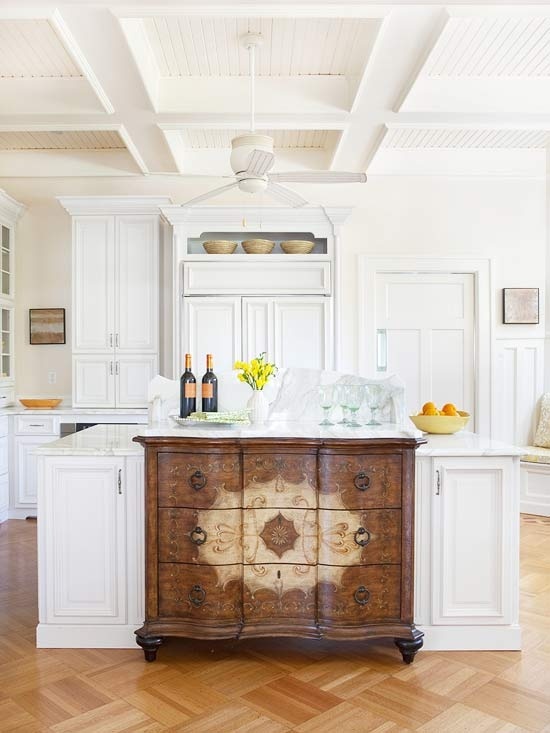 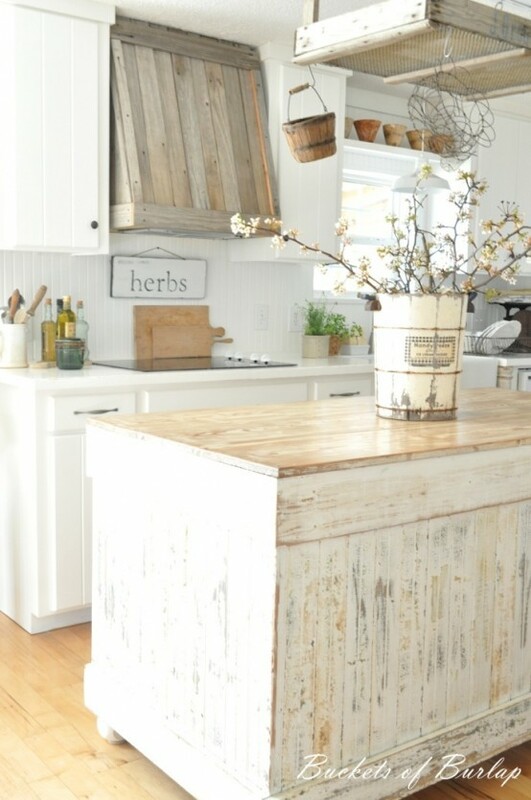 Such an island may look like an another table – a rustic or a vintage one – with shelves below for storing some food or drinks. 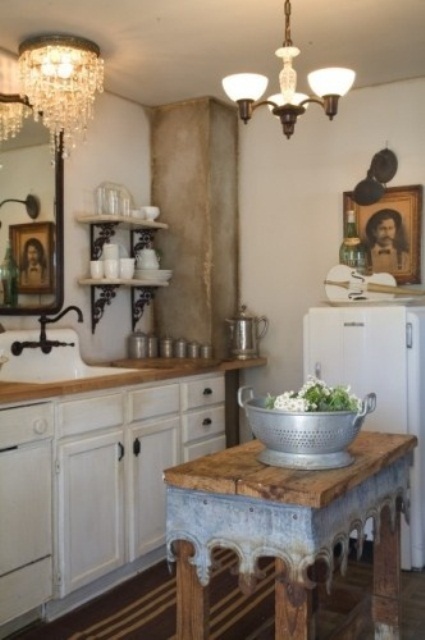 You may take an old, shabby chic piece of some old tavern or bar and use it. 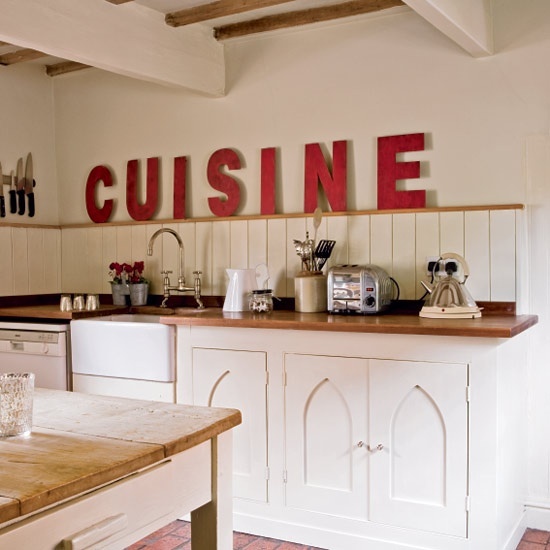 Find some examples below how to bring some vintage chic to your kitchen and get inspired!